Chop the shallots, place in a pan with white wine & boil to reduce liquid by two thirds. Add 100ml of cream and bring back to the boil. Whisk in approx 100g diced cold butter & strain through fine sieve into a clean saucepan. Add chives, lovage and lemon juice and set aside. Blanch the Asparagus in boiling salted water. Heat a non stick frying pan and cook the salmon for 2-3 minutes each side & season with salt & pepper. Warm through the sauce – do not boil. Place asparagus onto serving plate. 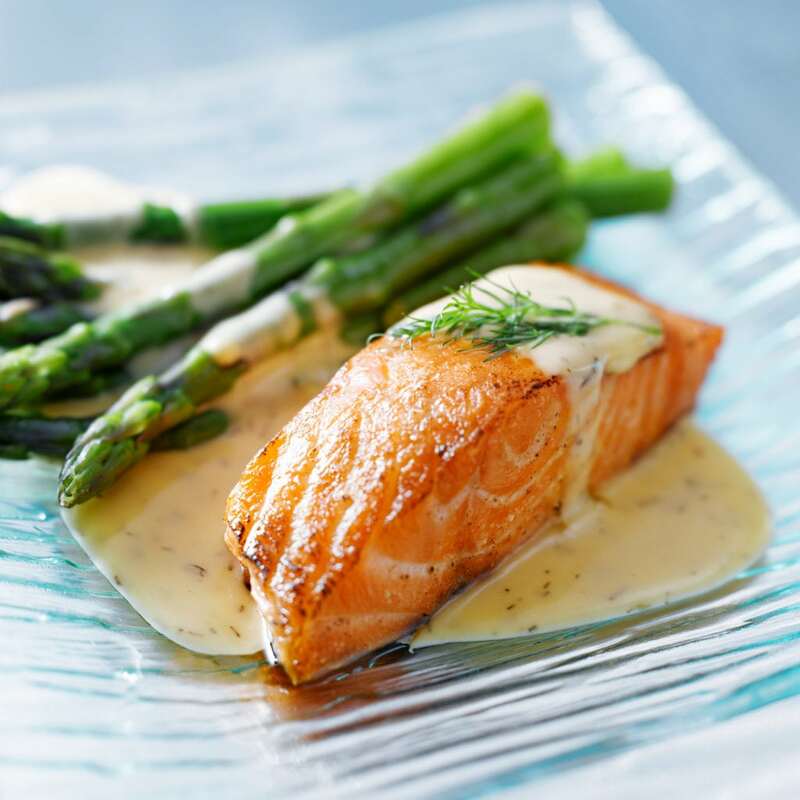 Place salmon on top of asparagus and spoon sauce around.